Attention in the news has a spotlight on foreign investments in Residential Land – Prompted by the rising house prices and rental availability in Auckland and the wider areas in New Zealand. 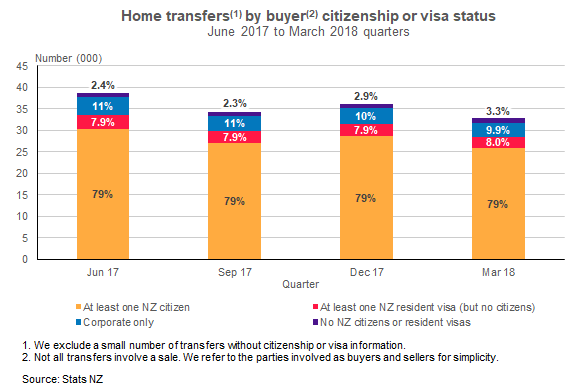 In June 18 Stats NZ released statistics regarding foreign investments – “In the March 2018 quarter, just over 3 percent of home transfers were to people who didn’t hold New Zealand citizenship or resident visas, Stats NZ said today.” – Queenstown currently recording the largest number of overseas buyers. The full article can be found at: https://www.stats.govt.nz/news/just-over-3-percent-of-home-transfers-go-to-overseas-buyers. A reviewed of the OIO (Overseas Investment Office) relating to the Overseas Investment ACT 2005, amendments have been implemented as of the 22nd October 2018 stating that all purchases of residential land in New Zealand are required to complete a Residential Land Statement. It is strongly recommended you seek legal advice well in advance of making any offers. This will assist in avoiding unforeseen delays that could impact negatively on your chances of securing that particular property.